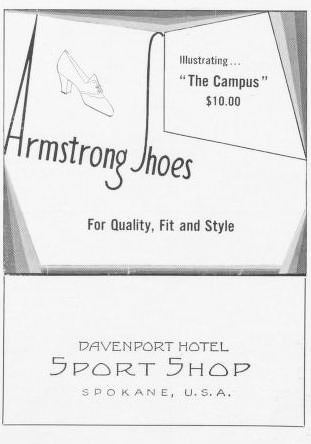 Armstrong Shoes - for quality, fit and style. Illustrating "The Campus" $10.00. Proved champions. 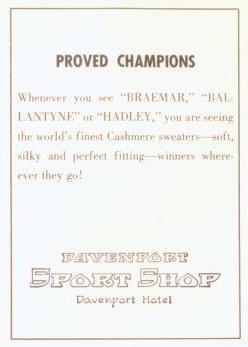 Whenever you see "Braemar," "Ballantyne" or "Hadley," you are seeing the world's finest Cashmere sweaters - soft, silky and perfect fitting - winner wherever they go!